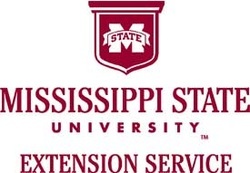 Mississippi State University Extension Office provides great gardening tips for our Southern Region. Click picture to browse link. Link will open in a seperate window. Pay your local extension office a visit and let them know you saw them on the Walton's Greenhouse Website. We carry Fertilome Products and Hi-Yeild to meet your every plant need. Click picture to browse link. Link will open in a seperate window. You will find we carry what you need to enhance your plants' life by using our Plant Program. You may also visit our Plant Program Tab on this website and tailor it to your plant's needs. Use this link to attain instructions and help with any chemical products purchased from Walton's Greenhouse Garden Center. MSDS Data is also located here. We sell Miracle Gro and Osmocote Products from Scotts. The Miracle Gro name has been synonomous with gardening for a long time. Click the picture to open their link in a seperate window. Fulton was home to our second retail location. This is the Walton's home town. Located in Itawamba County, Fulton, Mississippi sits along the Tennessee-Tombigbee Waterway, and Interstate-22 navigates through our charming town. We are home to the nationally-ranked Itawamba Community College and one of the top performing K-12 school districts in the state of Mississippi. www.fultonmschamber.com/ Click the link to learn more about Fulton, MS.
Itawamba County is the home of Walton Greenhouse, Inc farm. We grow our plants in the Peaceful Valley Commintiy. A place where neighbor knows neighbor and a helping hand is always evident, Itawamba County exemplifies the best of hometown America. Visit itawambacoms.com or itawambams.com to learn more about Itawamba County, Mississippi. Itawamba County, Mississippi – a unique place nestled in the beautiful hills of northeastern Mississippi. ItawItawamba County, Mississippi – a unique place nestled in the beautiful hills of northeastern Mississippi.amba County, Mississippi – a unique place nestled in the beautiful hills of northeastern Mississippi. This will connect you to Itawamba County's Extension office. Just click the pic! Tupelo is home of our first location to sell retail Walton's grown plants. Learn a little about Tupelo, MS. If you don't know it by now, it's the birthplace of Elvis Presley. Click the picture to open a link to their web page. This will connect you directly to Lee County's official Extension Office Website. Just click the pic! Amory is the home of our third location. Amory is located in Monroe County in Northeast Mississippi. A historic railroad town with much to offer, "Developing the future and valuing the past." Click the picture to open a link to the City of Amory webpage. Learn more about Monroe County here by clicking the link on the picture. This will connect you directly to Monroe County's official Extension Office Website. Just Click the picture. New Albany is the home of our newest location. Click on the picture to be taken to the Union County Mississippi State University Extension Office page. The Union County Extension is located in New Albany, MS. 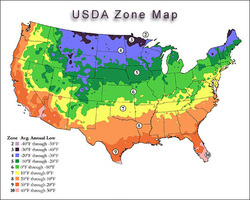 The USDA Zone map gives you the plant zone for cold tolerance temperatures for plants. When purchasing plants that you wish to return each year make sure to check the Zone. If is isn't in Zone 7b; it has high probability of NOT living through the winters here. The AHS Zone Map gives you the heat tolerant zone for plants. When purchasing plants that you want to thrive in the summer heat here check it out on this map.